The opening times of the EPSC-DPS Joint Meeting 2019 exhibition are as follows. Monday, 16 September to Thursday, 19 September 2019: daily from 09:00 to 18:00. Friday, 20 September 2019: 09:00–13:00. There are two exibibition options: booth and space. Each booth or space has a dimension of 2 x 3 metres. 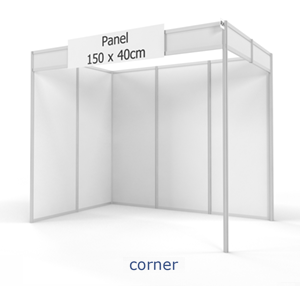 Exhibition booth: Includes stand construction (wall height of 2.5 m) incl. front panel with exhibitor logo, spotlights, electricity and three outlets (Swiss plugs). In case of a corner booth, one side wall will be open. Please note that furniture and other equipment is NOT included in the rental. Furniture and technical equipment can be ordered separately at PROEXPO. Advertisements can be booked for inclusion in the official EPSC-DPS2019 programme book. The organizer accepts adverts only in digital form and the artwork must be provided as .pdf file. The programme book will be printed in A5 format. After having placed your advertisement order via the order form, please send your camera-ready artwork file to be included in the programme book to Copernicus Meetings by 1 July 2019 at the latest. Please note that only camera-ready artwork files can be accepted. 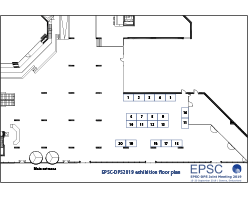 If you like to book a booth or space, please fill out our exhibition order form and return the form to epsc-dps2019@copernicus.org. Please also send your logo as vector file (.eps or .svg format) and your organization description with a max. of 70 words in the booking email. Please note that a respective Copernicus Office user ID is necessary for the booking. If you do not have a Copernicus Office user ID yet, please create an account. After having received your filled out order sheet, we will issue an invoice (linked to your Copernicus Office user ID) with payment instructions. You are asked to settle this invoice within 14 days by either credit card or bank transfer. The order deadline for an exhibition space or booth is 30 June 2019. PROEXPO is the official stand builder for the EPSC-DPS Joint Meeting 2019. Please see their exhibitor guide to order any additional equipment (e.g. furniture) for your booth. Additional equipment must be ordered directly at PROEXPO and will be billed by them. By renting a booth at the EPSC-DPS Joint Meeting 2019, the exhibitor accepts the following terms & conditions. Any exhibitor information (logo and description) to be included in the programme book must be provided to Copernicus Meetings by email immediately after booking. Cancellations can only be refunded in the case of written notification prior to 31 May 2019. A cancellation fee of €250 will be deducted. No refunds will be made after this date. The invoice for exhibition space rental must be paid within 14 days after receipt of the invoice. Otherwise, the rental will be cancelled. Proof of insurance must be provided upon request. Exhibitors are requested to have a rider on their current insurance policy to cover loss of, theft of, or damage to their exhibit or other personal property while it is located at or is in transit to or from the CICG. The exhibitor shall indemnify the CICG, PROEXPO, Copernicus GmbH, and Europlanet against, rendering them and their representatives innocent, complaints, suits, or liabilities resulting from negligence of the exhibitor in connection with the exhibit's use of display space. The CICG, PROEXPO, Copernicus GmbH, and Europlanet are not liable for loss, damage, or theft, through any cause, of goods, hand-carried items, exhibits, or other materials owned, rented, or leased by the exhibitor. Personal effects, promotional material, and other small, easily removable valuable items should not be left unattended. In no event are the CICG, PROEXPO, Copernicus GmbH, and Europlanet liable for incidental, consequential, special, indirect or punitive damages for any harm arising from or related to the use of exhibit space under the contract agreement. No nails, screws, or other fixtures may be drilled into any part of the premises, including the floors. Nor may any part of the premises be damaged or disfigured in any way. Should any damage occur, the exhibitor will be invoiced for repair charges incurred. 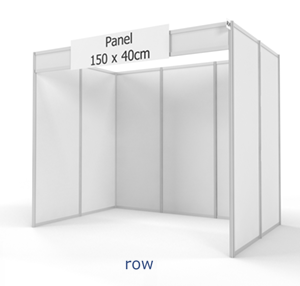 Exhibits in the rented booth space must be set up so as to not disturb neighbouring booths acoustically or visually and to avoid the creation of any obstruction within the booths or aisles. This also applies to presentations and demonstrations by the exhibitor and the gathering of participants at the booth. Europlanet reserves the right to reject exhibitors. In such a case, a respective rejection notification will be sent in a timely manner.